Beautifully landscaped lawns, sunbeams filtering through the leaves of large mature trees and colorful flowers complete the peaceful setting of this friendly neighborhood community. We offer a choice of floor plans where your comfort is our first priority. 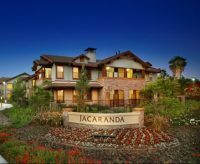 Our community is conveniently located near shopping, restaurants, schools, and major freeways all to simplify your busy life.